CONTACT US - Write. Click. Scrapbook. Thank you for your interest in write. click. scrapbook. For sponsorship related questions or inquiries please write to marnie@writeclickscrapbook.com. If you are interested in having write. click. scrapbook. 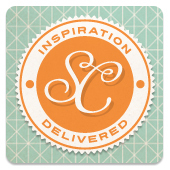 review your product or business, please write to lisa@writeclickscrapbook.com. If you would be interested in sponsoring a giveaway, please write to us at marnie@writeclickscrapbook.com. Please direct all other inquires to writeclickscrapbook@gmail.com. If you need to, you may reach us by telephone at (801) 209-0575.